Francis Ssuuna is a young social entrepreneur and a member of the Butterfly Project in Kampala, Uganda, training social entrepreneurship to young Ugandans from remote rural villages and disadvantaged urban slum districts, since 2009. Originally from a small Ugandan village, Lyantonde, Francis now lives in the Acholi Quarter, an underprivileged part of Kampala, where most people survive by selling stone quarried from the area or making paper beads. Because the poverty rate is so high, even children have to work in the quarry and contribute to their family’s income, which prevents them from going to school. Many children also collect scrap to buy food and clothing for themselves, which is also a high risk, as people perceive them as thieves. As a self-proclaimed passionate advocate for change in his community, Francis decided to help raise funds to pay slum children’s school fees, food and other requirements as well as prevent them from working in the stone quarry, by launching the Slum Run, a yearly sporting event, in 2012. The Slum Run requires athletes to run five circuits or 10,000m on a 2km circuit, which Francis developed for his athletics club, called ‘Project Circulate,’ enabling local children to take up various sports. Since 2012, where he was inspired by the London Olympics, Francis has organized the Slum Run each year. The upcoming one is scheduled for September 14, 2014. 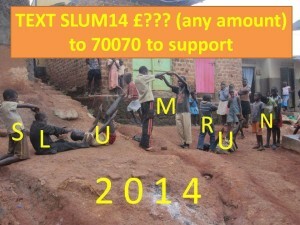 The number of children participating in the slum run increases every year. While, in the inaugural event, there were 12 runners, in 2013, 28 children ran. This year, 50 runners have been selected to participate. The funds raised through the run are administered by the children or their parents/guardians, who decide where they would like the money spent. There are some exceptional circumstances when children are considered the appropriate fund managers. For instance, in some families, with children coming from different marriages, some kids are favoured over the others. Thus, participants in the Slum Run might find their parents allocating the money that they have rightfully earned to another sibling, who didn’t participate in the run. Most of the children, though not all, are already sponsored for school fees, as there are NGOs and individuals that contribute. However, often paying school fees directly to the schools is not sufficient, as most sponsors insist that parents cover the school requirements to enable the children to attend school. Many parents can’t afford this expense and the children’s access to education has to suffer. Every participant receives the same amount of money. This year, if sufficient funds are raised, the sum will be 50,000UGX (approx. $20) per term to cover either the fees of a governmental school, which most of the children attend, or the additional school requirements, such as books and clothes. The remaining resources are used to pay the Slum Run’s expenses, which comprise T-shirts, food, medical care and security. If additional funds are left, they are either stored as a backup for any of the participating kids’ unexpected school needs or used for the development of the local Chrysalis Center, where local children come to acquire a range of personal development skills or even learn to be social entrepreneurs themselves through the Ashoka Youth Venture Programme. The Slum has become a community event. Many members attend the run as spectators, while the children showcase their running abilities, gain confidence in their skills and earn their school fees, rather than just being handed them on a plate. The participants look forward to the new run and almost all the other children living in the area line the route and cheer them on. A similar road circuit is yearly organized in Small Heath, Birmingham. 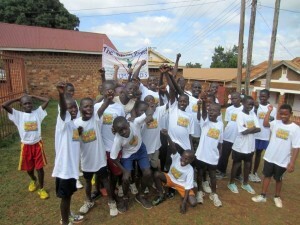 The participants are also running to raise funds for the underprivileged children in Acholi. In 2013, Francis secured a partnership with the Boys’ Brigade, Birmingham, to support their work with disadvantaged youth in the British city and raise funds not just for the Ugandan children, but also to raise the awareness of poverty in Africa amongst young people in Britain. Through his first two runs, Francis has managed to raise over $4.900 from national and international sponsors, enabling the 40 children taking part in the run to go to school and even support their families. Some participants have been inspired to initiate some projects of their own to sustain themselves and better their community. For his hard work and remarkable accomplishments, Ashoka selected Francis as a Youth Venturer. 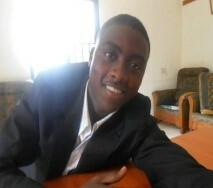 He was also shortlisted as one of the young people conducting the most interesting projects in Uganda. The young Ugandan has even bigger dreams. In the short term, he aims to raise more awareness among local children about the dangers of working in the local stone quarry and encourage them to participate in the run as well as to obtain a video camera, which would allow him to cover the stories of some of the local young people. As for long-term goals, Francis confesses that he would like to see every child in Acholi Quarter in school and out of the stone quarry. He also wants to expand the run to his home village and to other countries as well. Two groups in Addis Ababa, Ethiopia, and Kibera, Nairobi, have already expressed interest in implementing the Slum Run as a means of fundraising in their communities. Francis, despite his young age, is clearly a visionary and has many ideas which he believes will have lasting impact in Ugandan communities. Apart from ‘Project Circulate’ and its Slum Run initiative, Francis runs another project called The Vision for Change (V4C), focused on training young people to develop their vision and selflessness and become change-makers. Francis has already trained more than 30 local children in the program that he devised. He has also taught others children how to deliver his training in their local communities.